Diet plays a key role in maintaining your overall health. A healthy diet rich in vitamins, minerals, proteins, fiber, and fats can help you keep your heart healthy. If you have already suffered a heart attack or have undergone heart surgery, it goes without saying that strict diet control is needed. 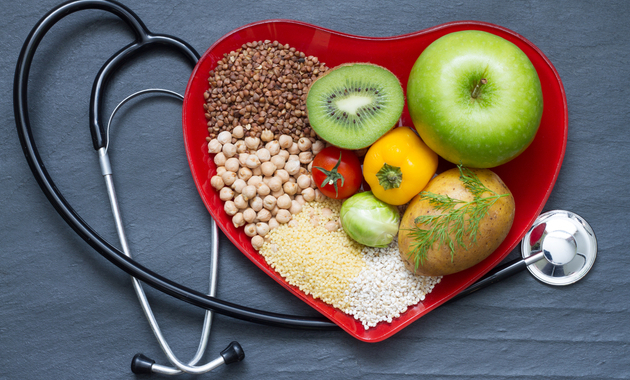 So to help you eat healthily and wisely this World Heart day, we have asked the Mumbai based nutritionist Pritisha Jadhav, Indian Dietary Association (IDA) and SRV Hospital, for a diet plan for heart patients. Before we give a sample Indian diet chart for heart patients, here are heart-healthy diet tips to follow. 2. Limit fruits especially if you are diabetic. Choose whole fruits and vegetables to up your intake of fiber and other nutrients. But, fruit should be limited, especially for people who are diabetic. Incorporate berries, oranges, sweet limes, apple and pear which contain less sugar and more fiber. 4. Add fenugreek (methi) seeds to your food. It is a rich source of soluble fiber and contains active compounds which reduce cholesterol and are good for the heart. Moreover, if you suffer from diabetes along with heart problems, incorporating methi in the form of raw seeds in curries, dal or curd can keep the heart healthy. Here is a sample diet chart* for a person who has heart disease and/ or has undergone heart surgery and weighs around 60 kgs. You can follow this chart if you have a moderately active life. Lunch: It should comprise of 2 rotis (without oil/ghee) or 3 phulkas or 1 medium bowl of rice. It should also include a big plate of salad, 1 cup of vegetable curry, 1 medium bowl of curd and 1 medium bowl of dal. If you are non-vegetarian, dal can be replaced with chicken (curry, grilled or roasted but not fried) or fish such as mackerel (curry but not fried). If you have to follow a fluid-restricted diet, then eating curd is better than drinking buttermilk or chaas. Late evening: Have a bowl of soup or fruit. If you are a diabetic, soup is a better option. *The diet chart might vary based on the severity of your condition and other health risks such as diabetes, hypertension, or thyroid disease. Hence, it is advised to talk to your dietician to get a customized diet plan based on your diet pattern, health condition, and risk factors. Sinusitis: When To See A Doctor? ← 5 Simple Tips To Prevent Common Cold This Season!